Ageing is a natural process, but despite that, it is really painful to witness in mirror the youth and beauty fade away with each passing day. Addition of another new wrinkle or line not only eclipse our beauty but it also shatters our confidence and spirit. The appearance of creases and fine lines all over the face, makes us appear more old than we actually feel. The more we wish to hold on to our youth, the more it seems to vanish before our eyes. Generally, after 25 years, the first signs of facial ageing begin to be noticed, mainly in the area surrounding ​​our eyes and lips. This condition is due to the loss of collagen and elastin, the structural protein of the face. 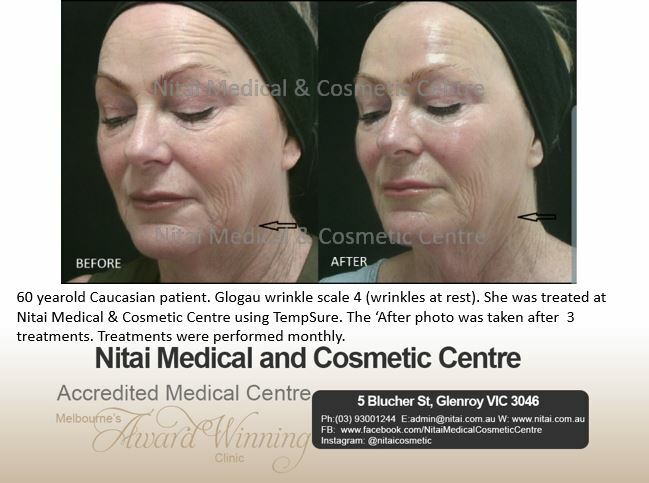 So, at Nitai Medical & Cosmetic Centre, we have introduced a ground-breaking treatment called Tempsure Envi, that very easily uplifts the wrinkles and fine lines, while firming the saggy skin. This anti-ageing treatment favours the application of radiofrequency to reach the deep layers where the elastin fibres are present and triggers them for collagen production. It is ideal for flaccid skin or for those areas where the laser cannot be used, such as eyelid and neck. 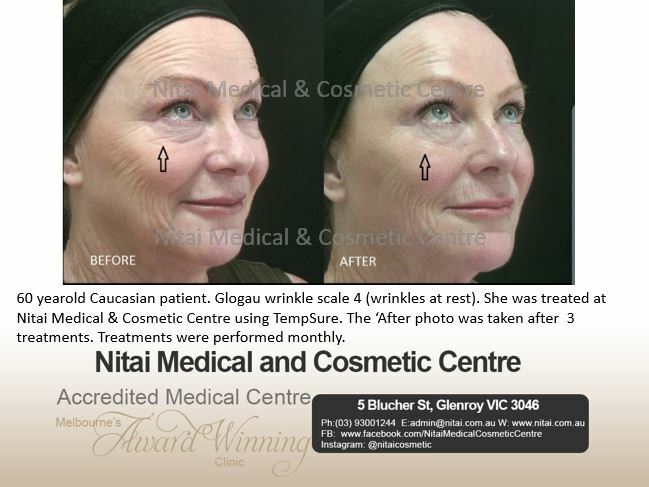 Tempsure is recommended to the individuals after the age of 25 yrs. because after that collagen is lost rapidly with time and continuous exposure to sun. Now, let us delve deeper into further details about this innovative treatment. The Tempsure system is a dermatological treatment that uses RF waves to achieve smoother and firmer skin by improving collagen build-up, which is absolutely safe (with a well-understood risk profile) and sound for the treatment of facial wrinkles without any need for surgery. Collagen is responsible for the elasticity and softness of the skin, after 25 years it is reduced by 1.5% per year, therefore stimulating the growth of new collagen helps the skin look younger, increasing the firmness and reducing wrinkles. How does the Tempsure Envi work its magic? In Tempsure Envi treatment, firstly, a profuse layer of an emollient gel is spread in the area to be treated. Secondly, radiofrequency energy is released in a constant and gradual way to the skin, which increases the heat in the area where the skin and the fat layer meet. As the heat increases, the collagen bundles of the skin change and contract, thus stimulating the growth of new collagen. Thus, in just two simple steps, one can get firm and youthful skin that everyone desires. What are the ideal cases for this treatment? The sensitive facial areas that has developed creases and folds such as nasolabial grooves, wrinkles around the mouth, lines and folds between eyebrows, forehead lines, sagging skin under and above the eyes and the famous crow’s feet. The treatment lasts 30 to 60 minutes depending on the number of areas that are to be treated in a session. In the procedure first a conductive gel is applied in the treatment zones, after which the RF wand is moved across the face. Patients say they notice a feeling of internal warmth when the Tempsure handpiece is applied. Many patients have related the depth of sensation with that of hot stone therapy, as the specialist moves the handpiece carefully through the treatment area. Does Tempsure Envi induce any side-effect? The Radio Frequency equipment does not damage the upper layer of the epidermis or other superficial layers. This is a light technology that is responsible for removing the cells of color (spots) and also stimulates the production of collagen in the skin (rejuvenation) without causing any harm to the skin. Although, just after the treatment, certain sensitivity or redness can be observed but that ebbs within a few hours. Unlike other skin tightening treatments, the Tempsure Envi does not require anesthesia. Hence, it can be understood how uncomplicated the treatment is. No marks or bruises are seen following the treatment. Many people notice the results immediately after the first treatment. However, many patients need a series of three sessions spaced one month apart to see an optimal improvement. Usually it is not necessary to prepare for Tempsure, although it is recommended to go to the consultation with hydrated skin. We recommend consulting the specialist beforehand if the treatment with certain products, master preparations or topical medications (in case they were being used) should be interrupted. 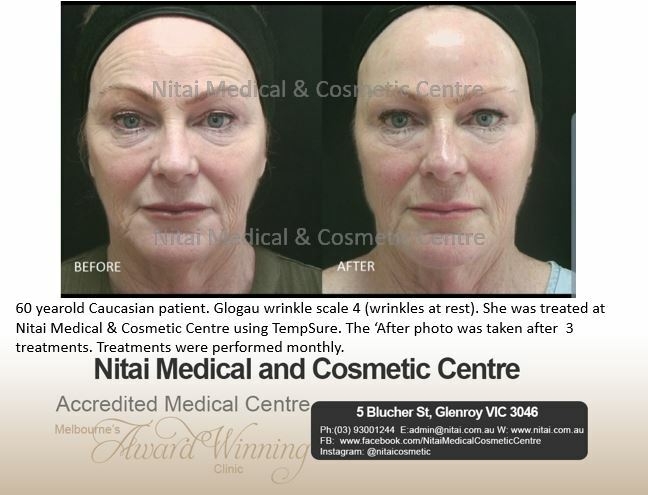 Clinical studies have shown that the treatment is a safe and effective way to reduce wrinkles without surgery. The general result of Tempsure Envi is the remarkable improvement of the quality and appearance of the skin with very few side effects and without convalescence time. The results continue to improve for six months. To maintain long-term results, treatments can be performed at any time after the first. We also prescribe to apply sunscreen before heading out to minimise the damage caused by sun. After a session of Tempsure, you will notice that the skin is slightly red and inflamed for a few hours, but you can make up and immediately resume the usual activities, so it is ideal for those really busy. Can it be combined with any other treatment? A few years ago each technique was used separately, while now they complement each other creating a perfect synergy to get better results on the skin that is damaged. Many specialists combine the Tempsure treatment with other aesthetic treatments, such as relaxing agents for wrinkles and dermal fillers. However, your skin physician is the only person who can recommend the best treatment plan, based on your skin type, age and goals. 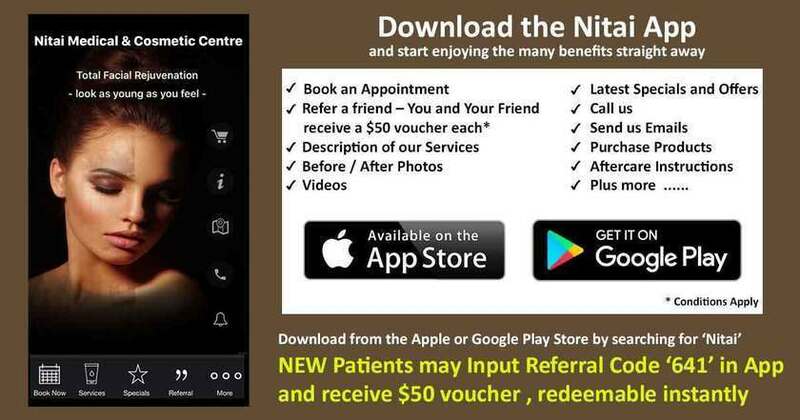 At Nitai Medical & Cosmetic Centre, We recommend you always consult trusted cosmetic physician first about what is the best treatment or combination of treatments for the objective you wish to achieve, since this varies from patient to patient. In some cases something softer may be necessary, in other cases a stronger treatment may be necessary, or even a combination of treatments. So, whatever your needs, we are always a step behind you to take your proper care.